Russia's hybrid military forces attacked Ukrainian army positions in Donbas 22 times in the past 24 hours with one Ukrainian soldier reported as killed in action (KIA) and six as wounded in action (WIA), according to the press service of the Anti-Terrorist Operation (ATO) Headquarters. "The Russian occupation forces almost did not stop shelling in the Donetsk sector yesterday. There were recorded 12 such instances. The situation was extremely tense in the area between the town of Avdiyivka and the village of Kamianka, where the militants actively shelled our positions from infantry weapons, mortars, 122mm artillery systems and tanks. Some enemy shelling continued for several hours and was characterized by extremely high intensity," the headquarters said. Read alsoMother of Russian soldier captured by Ukraine troops insists he didn't retireIn addition, late at night, the Ukrainian fortified positions near the village of Luhanske came under fire from 120mm mortars, infantry fighting vehicles, grenade launchers and small arms. 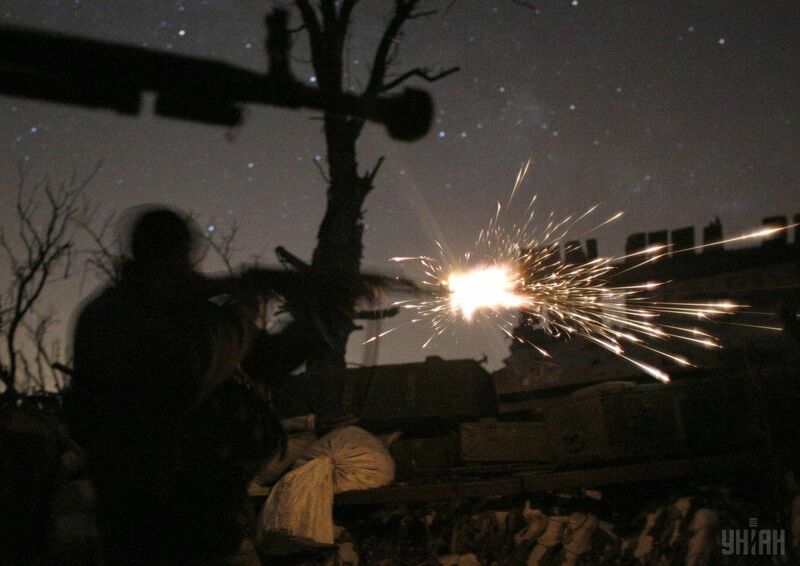 In the Mariupol sector, the Russian-backed mercenaries violated the ceasefire only after dark. The Ukrainian fortified positions near the villages of Vodiane, Hnutove, Talakivka and Pavlopil were attacked with grenade launchers of various modifications, heavy machine guns and small arms. "The Luhansk sector. There were no violations of the ceasefire in the morning and afternoon. However, late in the evening, the enemy launched several mines from 82mm mortars on the Ukrainian positions near the towns of Schastia and Popasna. Moreover, the occupiers used an anti-aircraft gun and small arms near Popasna," the report says.